Updates from the world of Jazz. Artist releases, CD and Live DVD reviews, concert coverage, photos, and more. Essential tracks highlights tracks that arguably should be found somewhere in any serious jazz collector's library. This segment is also meant to inspire readers to seek out foundational tracks from the various sub-genres of this great music. 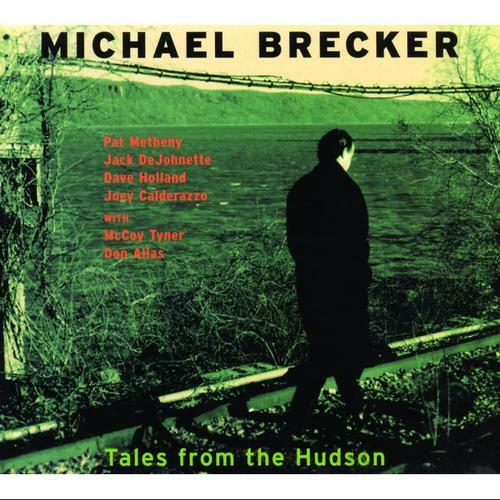 You'd be hard pressed to find a track from Michael Brecker that wouldn't be considered an essential track. 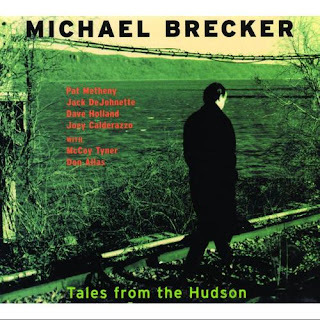 This release came after a year hiatus in recordings from Brecker, and was the beginning of a phenomenal run of outstanding recordings. Already an established, though probably under-appreciated giant of the saxophone, this released caused the jazz world to collectively take notice. Personnel on "African Skies" besides Brecker: Pat Metheny on guitar, Jack DeJohnette on drums, Dave Holland on bass, MyCoy Tyner on piano, and Don Alias on percussion. "Black Nile" from the 1964 Blue Note release - "Night Dreamer"
Shorter had been on the jazz scene for quite a while before this debut album on Blue Note. He spent quite a bit of time in Art Blakey's Jazz Messengers, Lee Morgan and Miles Davis before Alfred Lyons opted to sign him to his own record deal. The personnel on this album is a star-studded list for future legends. 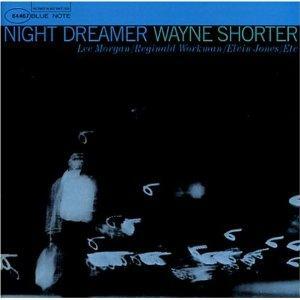 McCoy Tyner is on piano, Lee Morgan on trumpet, Reggie Workman on bass, and Elvin Jones on drums. On "Black Nile", everyone gets to stretch and jam out; typical of sessions of time. Despite it's age, this one will be easy to find online, and should also be available on CD. A worthy foundational selection. 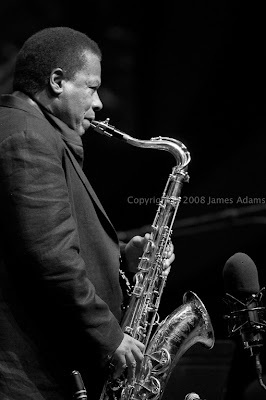 Amongst jazz enthusiasts, any discussion on legendary saxophonists will eventually turn to Wayne Shorter. When it does, the tone of the voices speaking will become reverent in nature. This year, the 1998 NEA Jazz Master enters his 80th year. The Monterey Jazz Festival celebrates that milestone at their 7th Annual Jazz Legends Gala, Thursday evening, September 19th, where Wayne Shorter will be the guest of honor. He is also featured as the 2013 Commission Artist. 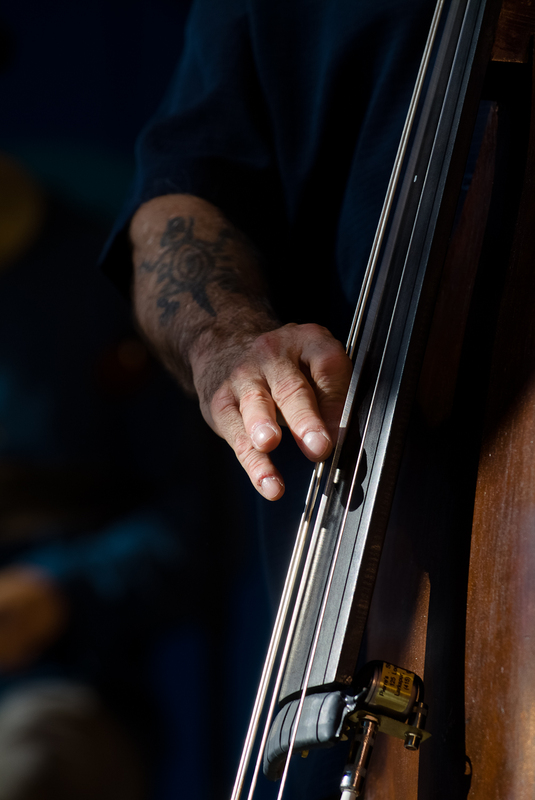 Shorter and his long running quartet featuring Danilo Perez on piano, Brian Blade on drums, and bassist John Patitucci take the stage Sunday evening. All ticket options are available now, from single day grounds tickets to full weekend subscription packages for the Arena concerts. Go to the Monterey Jazz Festival Site for details and to purchase tickets. 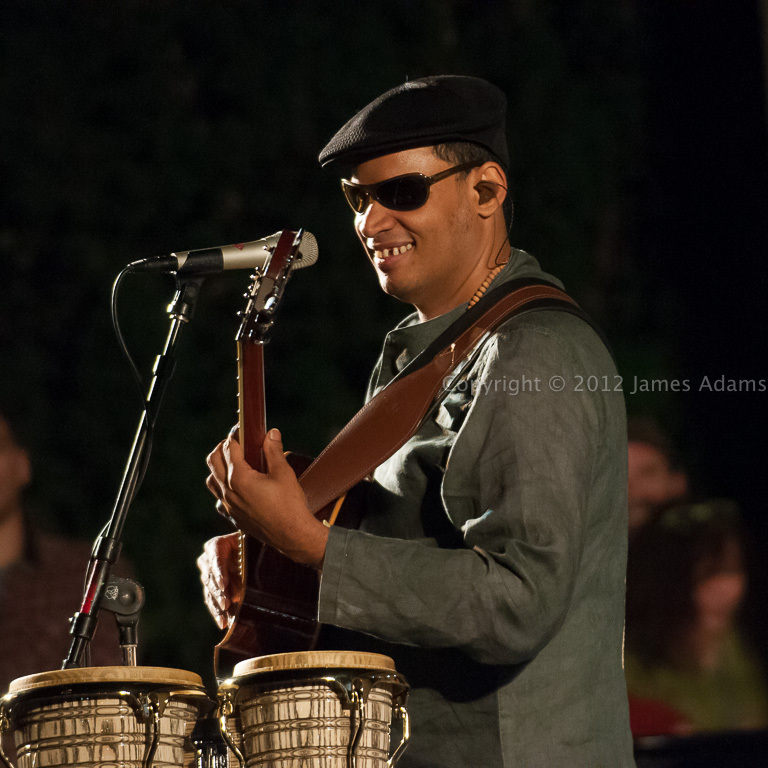 The sensational Raul Midón is the feature artist this Thursday, July 25th, 7:30PM. 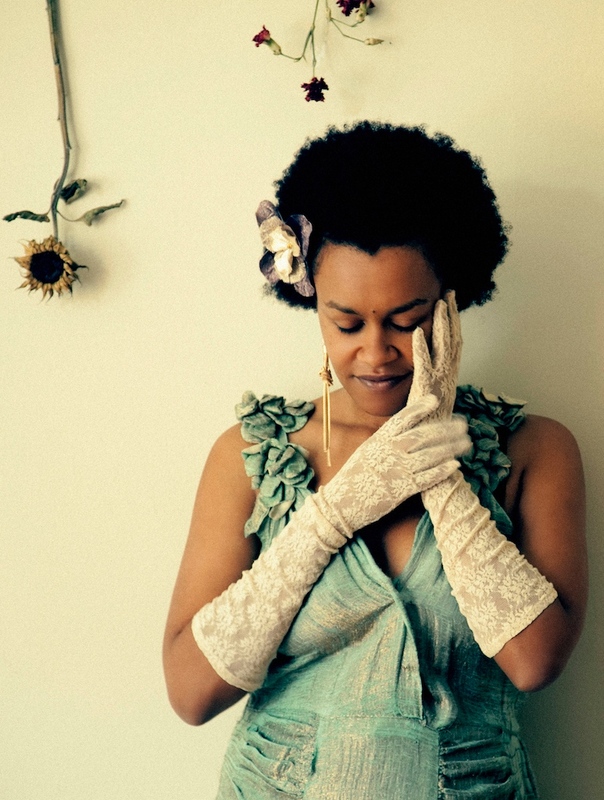 The SFJAZZ Center's Miner Theater is a perfect venue to enjoy this spectacular vocal talent. 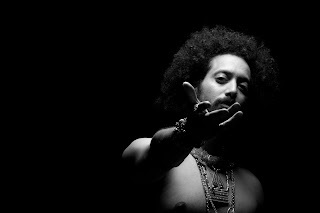 Midón serves up a seductive mixture in influences from jazz, soul, flamenco, Latin and West African. 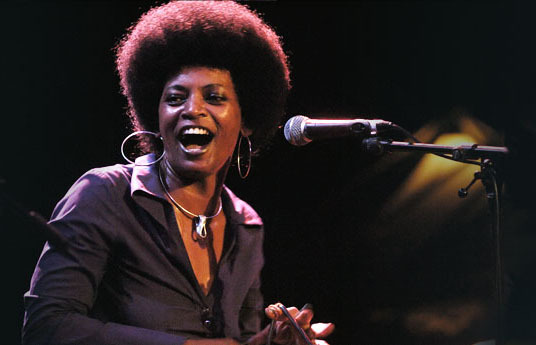 This solo performance is one of the standouts from SFJAZZ's Great Americas Songbook II program. 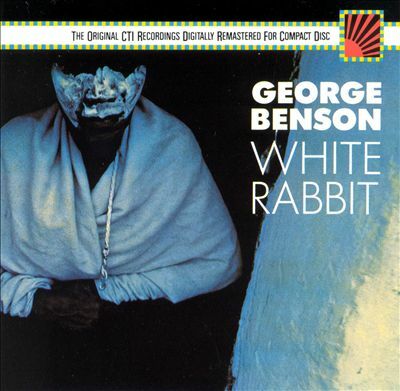 There are a couple generations that only know George Benson for his vocals. He is still, arguably, the greatest bebop guitarist alive. This was the CD that catapulted his popularity and showcased massive guitar skills. The CTI label was hot, and George was one of it's brightest stars. His cover of the Jefferson Airplane hit "White Rabbit" showcased the strength of the CTI lineup, while taking the song into another galaxy. 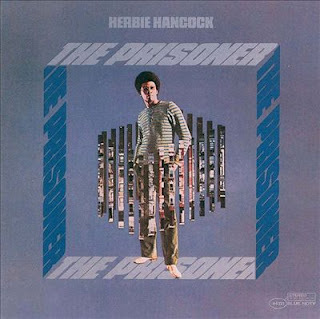 The star studded cast included Ron Carter on bass, Billy Cobham on drums, Hubert Laws on flute, Airto on percussion, and Herbie Hancock on piano. Orchestral arrangements by Don Sebesky. Essential tracks highlights tracks that arguably should be found somewhere in any serious jazz collector's library. 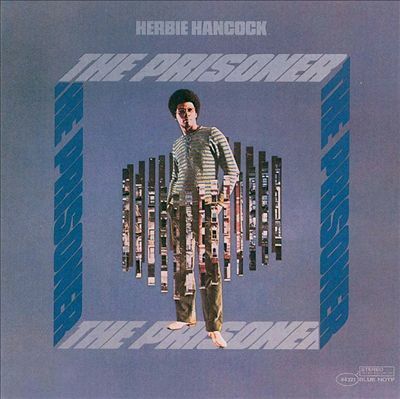 Fresh out of Miles Davis legendary quintet, The Prisoner was Hancock's final Blue Note release. The title track of this release was overshadowed by the classic "I Have A Dream", but is a standout in it's own right. 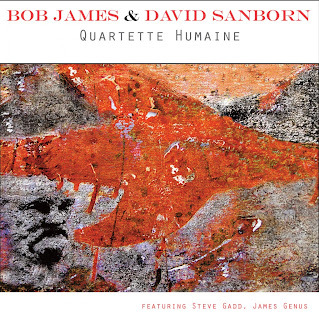 Personnel on this album included future legends Joe Henderson on tenor, Buster Williams on bass, and Albert "Tootie" Heath on drums, in a fluid nonet format. "The Prisoner" is a perfect example of the many recordings of the time that were contemplative and reflective in nature. 1984, twenty-nine years ago, two well established jazz stars coordinated their schedules so they could record together. The result was the highly successful "Double Vision" CD. This was before "smooth jazz" had earned such a negative connotation. These two are back with a new recording, their status now solidly established as two of the elder statesmen of the music. The younger, brash sound of these upstart musicians climbing the ladder of jazz notoriety is still present. It's rounded out now years of mastering their respective instruments. There is a touch and sensitivity to the ballads that puts the listener in an emotional and mental state of their own choosing. Rounding out the quartet (formed with intent to emulate the legendary Dave Brubeck quartets) are James Genus on bass, and Steve Gadd on drums. Genus anchors the groove, while Gadd provides just the right dynamics. The music is exciting, contemplative, adventurous, and reflective. Christine Salem is one of the few female voices of Maloya. Accompanied by a kayanm, her favourite instrument, she sings in Creole, Malagasy, Comorian or Swahili, blending in music from the Indian Ocean and African rhythms. 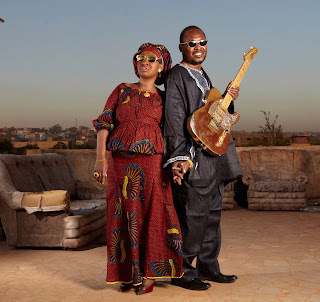 This Grammy Award-nominated musical duo from Mali, composed of the couple Amadou Bagayoko (guitar and vocals) and Mariam Doumbia (vocals), are known as "the blind couple from Mali". Meklit Hadero is making an encore appearance following her great Season 1 performance. The Ethiopian born singer-songwriter interweaves dance rhythms and melodic, floating harmonic pieces into a fascinating set. Yemeni-born Israeli singer Ravid Kahalani leads a roaring group, of improvising brass, string and percussion players, making intoxicating music that merges West African rhythms and ancient Jewish Yemeni melodies, mambo and funk. 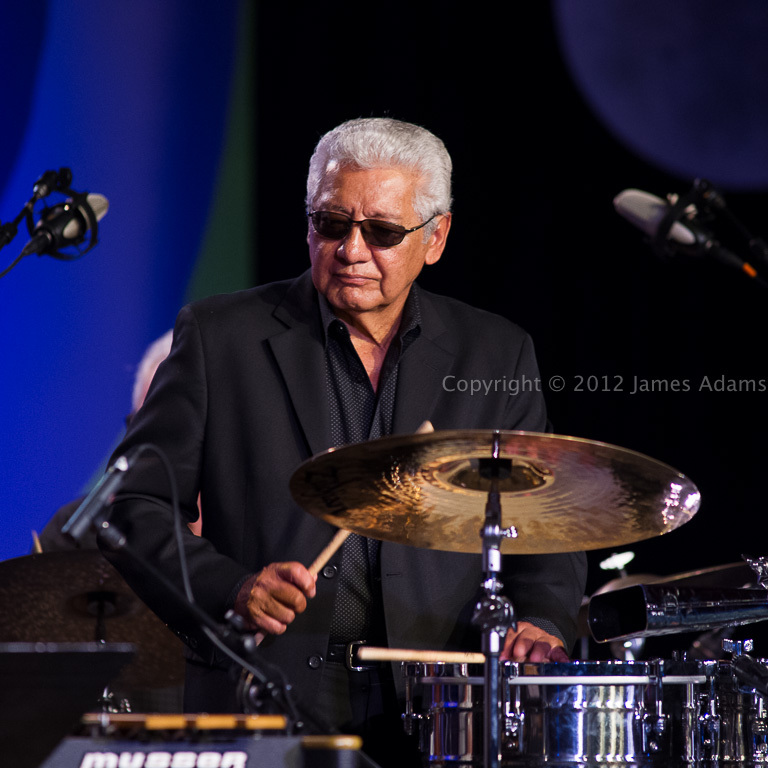 Legendary percussionist Pete Escovedo returns home to the Bay Area pretty often. This time it's extra special. Pete will celebrate his 78th birthday, and a career that spans six decades, with a three-day run ad Oakland's Yoshi's Jazz Club in Jack London Square. The dates are Friday through Sunday, July 12-14, with two shows nightly. Expect quite a few of the family members to be on hand, but Pete has something special in mind for this gig. In 1972, following a stint with Santana, Pete and his brother Coke Escovedo founded the Latin Rock/Jazz Fusion band Azteca. Onstage, the size of Azteca ranged from 15-25 members. They toured extensively and recorded two albums for Columbia before disbanding in 1973. Azteca was also the beginning of the professional music career of Pete's daughter Sheila. 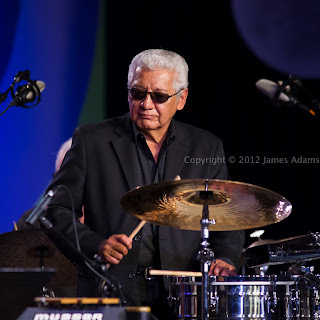 Pete is bringing the music of Azteca 2013 to Yoshi's for a series of shows that promises to be spectacular. For tickets and additional information, Contact Yoshi's box office.